In the presidential election of eighteen eighty-eight, one issue that played a major part was tariffs. 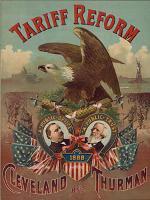 The president of the United States, Grover Cleveland, decided that high tariffs were wrong. He told other Democratic leaders that he would try to get the tariffs reduced. The politicians warned him not to try. They said he would only lose the support of business people. They said he would need campaign money from business if he expected to be elected president again. But Cleveland rejected their advice. This week in our series, Shirley Griffith and Ray Freeman tell about the presidential election of eighteen eighty-eight. SHIRLEY GRIFFITH: President Cleveland believed that high tariffs hurt more Americans than they protected. High tariffs, he said, led to high prices on all products. He also opposed high tariffs because they brought in more money than the government needed. The extra money was kept in the public treasury. And this, Cleveland believed, slowed the American economy. The president's Democratic Party united to support his policy of lowering tariffs. When the party held its presidential nominating convention in eighteen eighty-eight, delegates quickly re-nominated Cleveland. RAY FREEMAN: At the Republican Party convention, delegates were expected to nominate Senator James Blaine. Blaine had been the party's candidate four years earlier. He had lost to Cleveland in a very close election. Senator Blaine publicly criticized the president's policy on tariffs. He said he looked forward to a full debate on the issue. Republicans thought this meant that Blaine wanted to be nominated for president again. They told him he was sure to win. They said it would be such an easy victory that he would not have to campaign. SHIRLEY GRIFFITH: In fact, Blaine did not want the nomination. He asked that his name not be put before the convention. He met with reporters to talk about his decision. He said: "A man who has once been the candidate of his party -- and defeated -- owes it to his party not to be a candidate again." Many Republicans refused to accept Blaine's decision. They felt that if Blaine were nominated, he would run. Blaine replied: "If the presidential nomination is offered to me, I could not and would not accept it." That was final. Blaine's supporters had to find someone else to nominate for president. RAY FREEMAN: Fourteen men declared themselves to be candidates for the Republican nomination. A leading candidate was Senator John Sherman of Ohio. 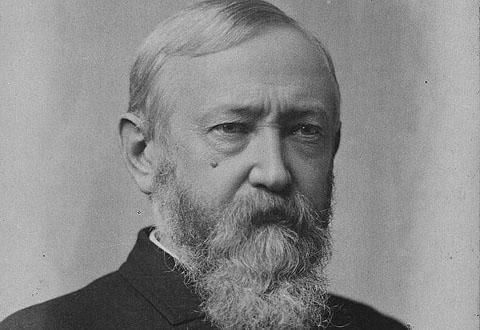 Another was former Senator Benjamin Harrison of Indiana. Convention delegates voted several times. No man received enough votes to win the nomination. Then a message came from James Blaine. It said: "Nominate Harrison." On the eighth vote, the delegates did. Benjamin Harrison was the grandson of the ninth President of the United States, William Henry Harrison. Benjamin was a lawyer. He had been a General in the Union Army during America's Civil War of the eighteen sixties. "We fully support the American system of protection. President Cleveland and his party serve the interests of Europe. We would support the interests of America. We would see all other taxes ended before we surrender any part of the protective tariff system." RAY FREEMAN: Benjamin Harrison's campaign was well-organized. His campaign workers went to businessmen who had become rich because of high protective tariffs. They asked for support, and the businessmen gave millions of dollars to the campaign. The businessmen also put pressure on the people who worked for them. They warned workers that if Cleveland were re-elected, there might be no more jobs. 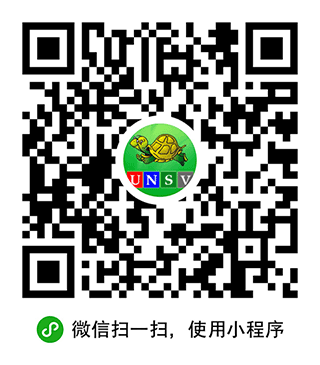 Republican Party leaders took an active part in the campaign of eighteen eighty-eight. They made speeches and led parades across the country. The party also printed millions of pamphlets that warned against what it called "Cleveland's free trade policies." SHIRLEY GRIFFITH: Grover Cleveland's campaign was not well-organized. It started slowly. It did not raise much money. No effort was made to answer Republican attacks on the tariff issue. And the president himself refused to campaign. He said he had more important things to do. The Democrats also failed to stop the Republicans from buying votes on election day. In Indiana, for example, men were paid fifteen dollars to vote for the Republican candidate. The Democrats bought votes, too. But they had less money to spend than the Republicans. When the popular votes were counted, Cleveland had about one hundred thousand more than Harrison. But Harrison had more electoral votes. He won the election. RAY FREEMAN: Grover Cleveland had mixed feelings about his defeat. He wanted to win, because he believed his policies were best for the country. He said he was not sorry that he had made tariffs the major issue in the campaign. "I do not regret it," he said. "It is better to be defeated battling for an honest idea, than to win by a cowardly trick." When President Cleveland and his wife left the White House, Missus Cleveland said goodbye to the servants. She told one of them: "I want you to take good care of all the furniture and other things in the house. I want to find everything the same when we come back...four years from now." SHIRLEY GRIFFITH: The new president, Benjamin Harrison, had big political debts to re-pay. He understood this when he began organizing his administration. "When I came to power," Harrison said, "I found that my party's leaders had taken all the power for themselves. I could not name my own cabinet. They had sold every cabinet position to pay for the election." RAY FREEMAN: The position of Secretary of State went to James Blaine, who had refused his party's requests to run for president. Blaine had served as Secretary of State under Presidents James Garfield and Chester Arthur. The position of Postmaster General went to John Wanamaker. Wanamaker had raised most of the money for Harrison's campaign. He had given fifty thousand dollars of his own money. He planned to re-pay party supporters with jobs in the post office department. SHIRLEY GRIFFITH: During the campaign, Harrison had promised to enforce the civil service law that protected the job rights of government workers. He promised that workers would be removed only in the interests of better government. Wanamaker and other party leaders criticized Harrison. They said they could not build a strong party organization without promising government jobs to voters. So, President Harrison suspended the civil service laws that protected postal workers. Within a year, thirty thousand Democrats were removed from the department. Their jobs went to Republicans. The president then announced that the post office would, once again, be protected by the civil service laws. RAY FREEMAN: Former President Cleveland had been troubled by the extra money in the federal treasury. This was tax money the government collected, but did not use. Most of the extra money came from high protective tariffs on imported products. Cleveland wanted to reduce the surplus by reducing the tariffs. President Harrison decided to reduce the surplus, too. But he would do it by increasing government spending, not by cutting taxes. Congress agreed. It became the first Congress to spend one thousand million dollars. Much of the money was spent on payments to men who had fought in the Union Army during the Civil War. These payments cost the government more than one hundred million dollars a year. Congress also approved millions of dollars for government projects in the home states of important congressmen. This was called "pork barrel" spending. It paid for new roads, bridges, and government buildings -- for almost anything the congressmen wanted. Congress reduced the surplus even more by approving money to build coastal defenses and to buy warships for the Navy. RAY FREEMAN: The American Congress passed several historic pieces of legislation during Benjamin Harrison's administration: The Sherman Anti-Trust Act. The Sherman Silver Purchase Act. And the McKinley Tariff. FAITH LAPIDUS: Our program was written by Frank Beardsley. The narrators were Shirley Griffith and Ray Freeman. You can find our series online with transcripts, MP3s, podcasts and images at www.unsv.com. You can also follow us on Facebook and Twitter at VOA Learning English. Join us again next week for THE MAKING OF A NATION -- an American history series in VOA Special English.